Looking for something totally unique? Here it is......I used as many different techniques as I could in this really fun one of a kind necklace. 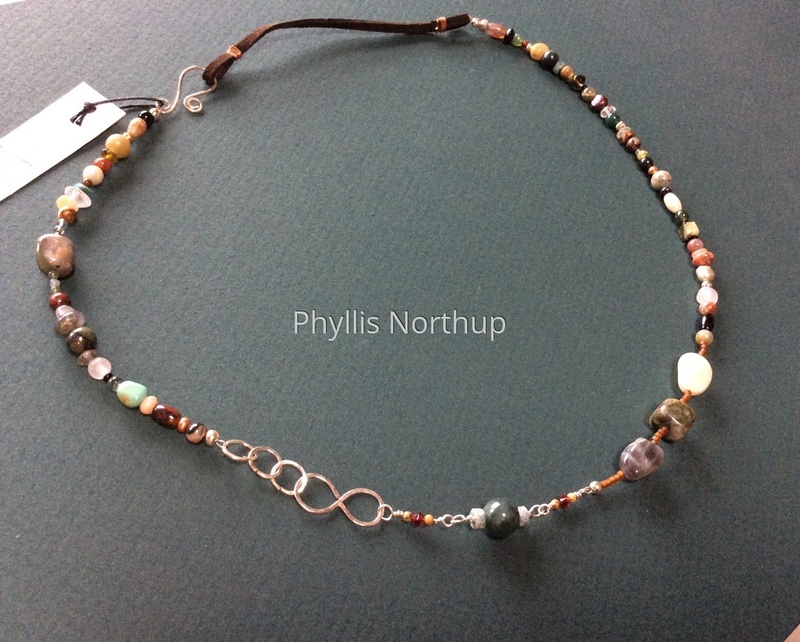 There are many different gemstones, copper, sterling, sterling filled and suede, and the necklace is designed to be worn many different ways.....the clasp can go top, bottom, sides or wherever you wish! With so many different colors, it could be worn with just about anything! 21" long, The price includes shipping.